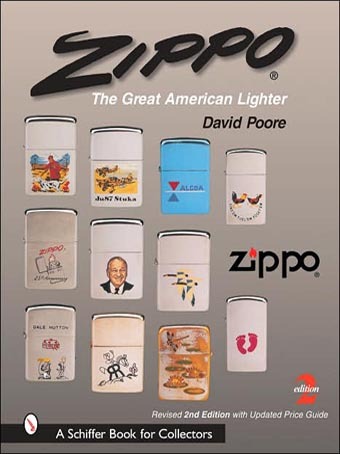 about Zippo series, cases, inserts, fluid cans and flint packages just to name a few. 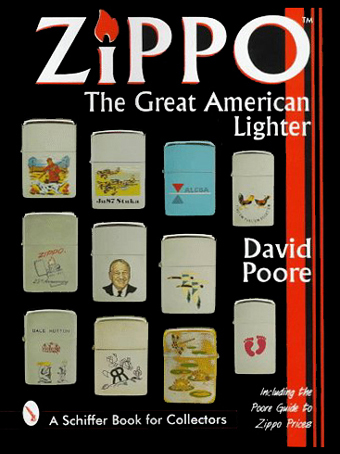 Quite rightly considered by most Zippo collectors to be the Bible of Zippo collecting. David lives in Cozad, Nebraska and is a middle school science teacher and Zippo collector. In 2005 Schiffer Publishing released the revised second edition with an updated price guide. Schiffer Publishing is located at 4880 Lower Valley Rd., Atglen, Pennsylvania 19310, U.S.A.
Kew Gardens, Surrey, TW9 4JF, U.K.